Be prepared on job sites without proper water supply. Eye wash station rentals from Event Solutions are ideal for providing emergency protection in areas where permanent water supply is not available. 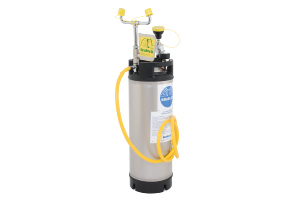 Our portable pressurized eye wash stations contain a built-in carry handle for easy transportation.